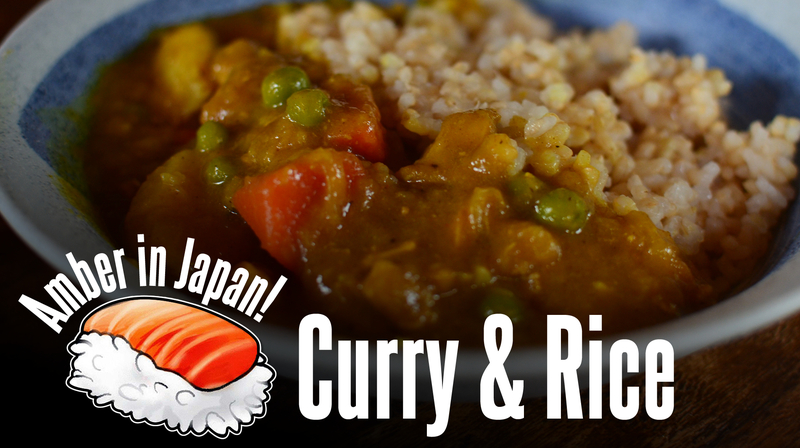 Japanese Curry & Rice is a HUGELY popular dish in Japan. Japanese curry tends to be sweeter than Thai or Indian curry, and we were told every family has their own version. Most people buy pre-packaged roux in a box, which has lots of chemicals and MSG in it, but it’s easy to make yourself! So here is our version, a little healthier, and absolutely DE-LISH! I hope you enjoy it! When I visited Japan for the first time, my mom's cousin made us Japanese Curry and Rice. It was AMAZING! 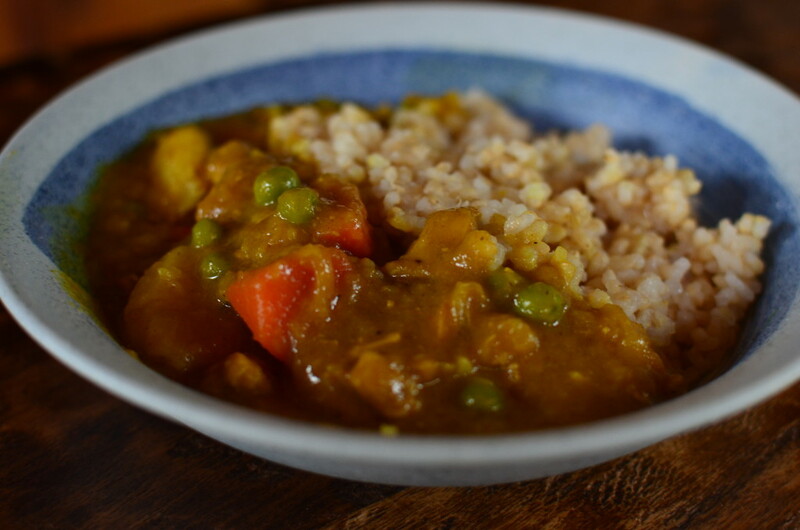 Curry and Rice is a super popular dish in Japan, especially with kids, and I can see why! Most of the time, people buy pre-packaged roux at the store, but it's full of MSG and other chemicals. So here is a version that you can make from scratch that is much healthier for you! I hope you like it as much as I do! Cook the onion until caramelized on medium-low heat. This might take 30 minutes or more. Don't skip this step - the carmelized onions give it a deep flavor! Add the garlic and ginger and cook for a few minutes. Add the chicken to the pot and brown on all sides. Add chicken stock, grated apple, potato, carrots, and salt. Stir, bring to a boil, and simmer until you can easily pierce a fork into the potato or carrot. While the potatoes and carrots are cooking, make the curry roux. In a small frying pan, melt the butter. Add the flour, and cook the mixture over medium-low heat, stirring constantly, until it becomes a light brown in color. Take the pan off the heat, and add 2 tablespoons of Mom's Curry Blend. When meat and veggies are tender, add 2 ladles of liquid to roux and whisk to combine, making sure there are no lumps. Pour roux mixture back into the pot. Add peas, soy sauce, ketchup, and katsu sauce to the pot. Stir and simmer until thick. Serve over brown rice and enjoy! Hi Amber! Can you tell me how many this recipe serves? I am going to make it at the weekend! Hi Cordelia, thank you for visiting! This recipe serves 4 people. I hope you love it as much as I do!